Auch Happy Games Factory haben eine Sonderminiatur zur Adepticon. The HGF team is pleased to announce its presence at the AdeptiCon in Chicago! 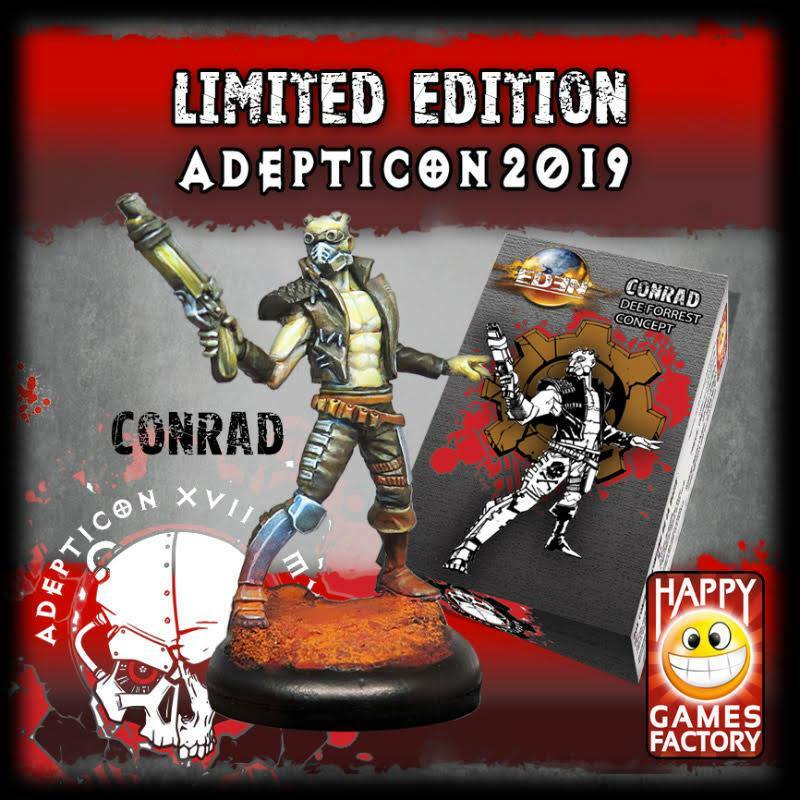 And as a surprise never comes alone we will propose on site and on our website this figure in limited edition to 300 copies for the duration of the convention! From a beautiful concept of Dee Forrest, sculpted and painted by Mohand Art, Conrad will have the same profile as fajira allowing you to play an Eden faction composed only of mercenaries.